SUPPORT MENTORING FOR AFRICAN AMERICAN GIRLS IN NEW ORLEANS AT ORCHID HONORS IV! The Orchid Society is a young professional network of African American women serving as positive role models for young minority girls in the New Orleans metro area through mentoring, community service and social awareness programming. Through our events and initiatives, we hope to empower our community so that our mentees can begin empowering their peers. We believe that it begins with the leaders of today to shape the future for leaders of tomorrow. We welcome you to our website, and encourage you to support our cause! Enjoy! Founded in December of 2010, by Ariel Wilson, began as a small interest group of young professional African-American women in the city of New Orleans. The women were interested in taking a youth focused approach to the development of a resilient community, post-disaster. 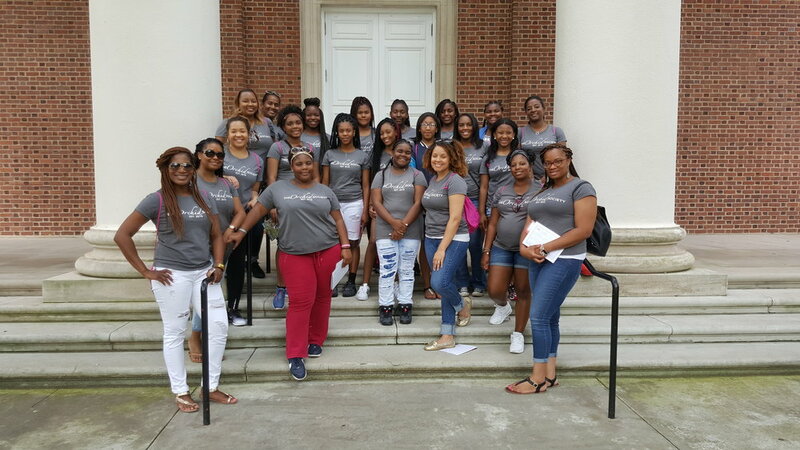 Through the cultivation of its core facet, a mentorship program for African-American adolescent girls in the city of New Orleans, 14 charter members established The Orchid Society. Our Mission is to maintain a strong network of professional women while serving as positive role models for young girls in the community through community service, mentoring and social awareness programming.